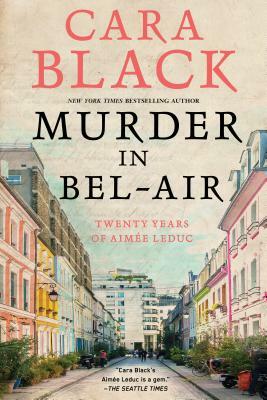 Celebrate the 20th anniversary of Detective Aimée Leduc's adventures with an event featuring Cara Black at Boswell, cosponsored by Alliance Française de Milwaukee, on Wednesday, June 12, 7 pm. Register at carablackmke.bpt.me or upgrade to book + ticket and get Murder in Bel-Air for 20% off. Cara Black is the author of nineteen books in the New York Times bestselling Aimée Leduc series. She has received multiple nominations for the Anthony and Macavity Awards, and her books have been translated into German, Norwegian, Japanese, French, Spanish, Italian, and Hebrew. She lives in San Francisco with her husband and son and visits Paris frequently.